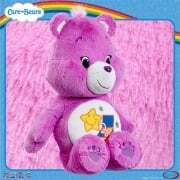 Share Bear is a friendly bear who knows how much fun it is to give some of her favourite things to others. Suitable for ages 2+, Share Bear thinks that sharing is such a treat, she shows it with her belly badge - two heart shaped lollypops! 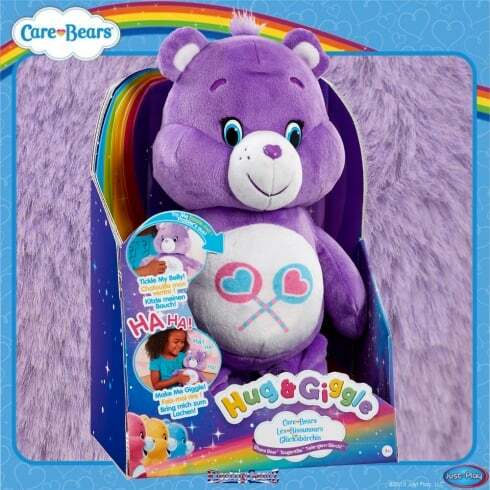 Tickle your Hug & Giggle Share Bear’s belly to hear her giggle and see her shake. 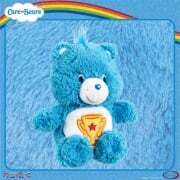 Includes 2 x AA batteries.